Our Ocean theme from last weeks 5 A Day Books was very popular with Minnie. A couple of the books we've chosen this week still carry an ocean theme, but our books this week were primarily chosen for our theme of Journeys! As it's Eric Carle's birthday on 25th June (& The Amazing Child, along with several other great blogs are marking this) we had to add a couple of our favourite Eric Carle stories too. 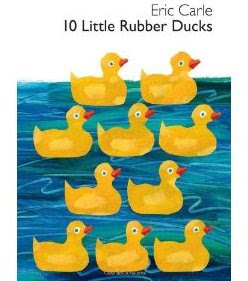 10 Little Rubber Ducks by Eric Carle is one of Minnie's favourite books. A crate of 10 rubber ducks is knocked from a ship in a storm & the ducks are thrown into the sea. Each duck travels to a different part of the world meeting new friends. Beautiful illustrations, great way to explore numbers 1-10 & a real adventure, with a wonderful surprise on the last page! 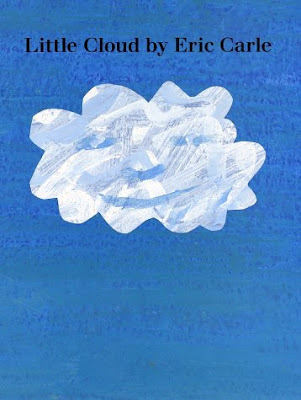 Little Cloud by Eric Carle is an ideal book to take with you on a journey! Wherever you are in the world cloud spotting is a wonderfully creative activity. The little cloud in this book morphs into a selection of magical shapes as he glides through the sky. What shapes can you see in the sky? What colours? 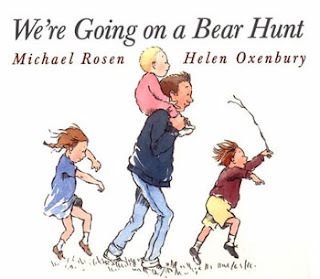 A Great book for sparking children's imagination. Lost And Found by Oliver Jeffers. A great story about journeys & friendship. A penguin arrives on a little boys doorstep, & the little boy assumes he must be lost so sets off to take him home. But soon the little boy begins to miss the penguin friend so sets off to search for him, only to find the penguin has gone! Where has the penguin gone? Anything is possible in this story. 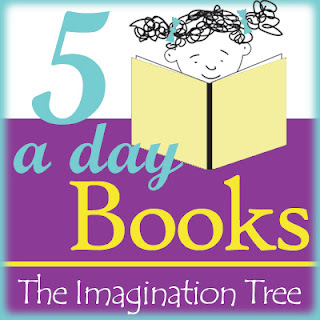 Great for exploring imagination, & a range of emotions.